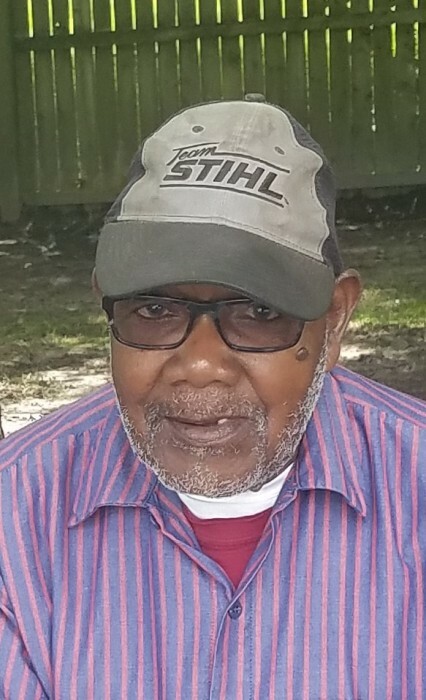 Ralph Ray Mumford, 80, of Showell, MD passed away peacefully at his home on March 21, 2019. He was born on March 29, 1938 to the late Robert and Laura Mumford in Showell, MD. He was educated the Worcester County School system He was employed by Paul and Linwood Hadder doing landscaping for 20 years, then worked for the Cliff Cannon Ford Lincoln Mercury dealership for approximately 40 years, retiring in 2012. He was married to Lillie Mae Mumford until her death in 2007. His hobbies included horseshoes, watching westerns, and spending time with his family, especially his nephews. He was a member of St. John AME Church in Bishopville, MD and was the church janitor. He always made sure the building was heated for Sunday morning services. In addition to his parents and his wife, Lillie Mae, he was also preceded by five brothers: Walter; William; Robert, Jr.; and Ernest Mumford, and John Hall. Also preceding were seven sisters: Hattie and Hester Mumford; Louise Manley; Alice Hall; Irene Collins; Marion Person; and Laura Hall. He leaves to mourn three sisters: Janie Cephas, of Selbyville, DE; Edna Poulson and Catherine Mumford, of Berlin, MD; a God-Daughter: Nichole (Terrence) Tyre, of Showell, MD; and a host of nieces, nephews. A time of visitation and viewing will be held on Friday, March 29, 2019 from 10:00 AM till 11:00 AM at Tyree AME Church in Berlin, with a funeral service beginning at 11:00 AM. Interment follows at the Curtis UMC Cemetery on Campbelltown Road in Bishopville, MD.